This is Aeryn. You met her a couple of years ago when I made her this cape. Just thought you would like to know that she's still at it. 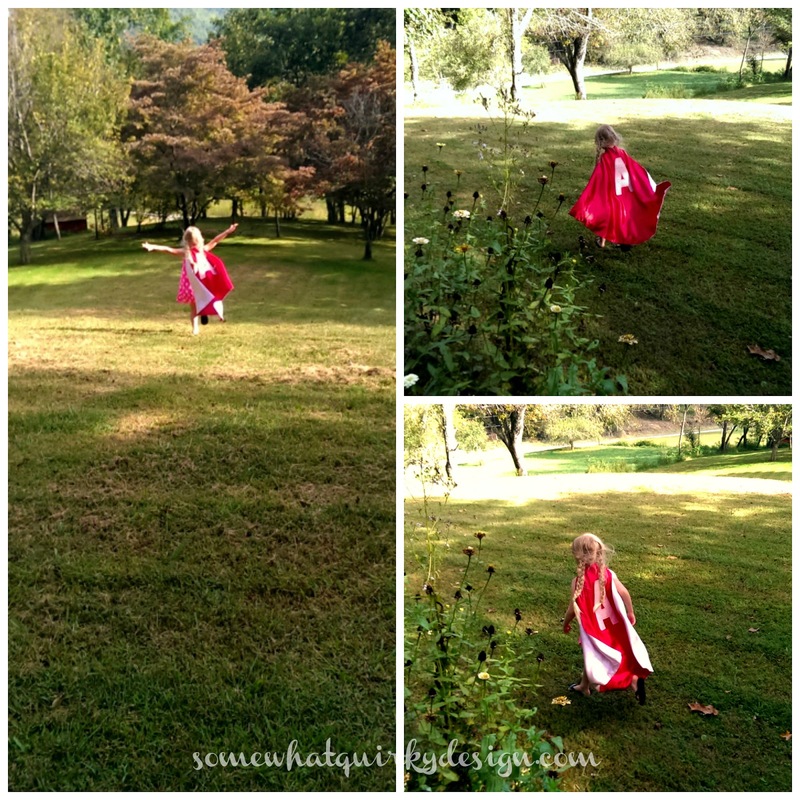 Give a child a cape, or a towel and a clothes pin... and they can fly to the moon and back! How lovely! I love it when Jacob dons his masks and capes and protects me from unseen evils! So adorable. The carefree days of being a kid! I wish we all could play like that.